Moving to New York in 1994, Elie Massias has garnered critical acclaim both as a solo performer/improviser and as a singer/songwriter. 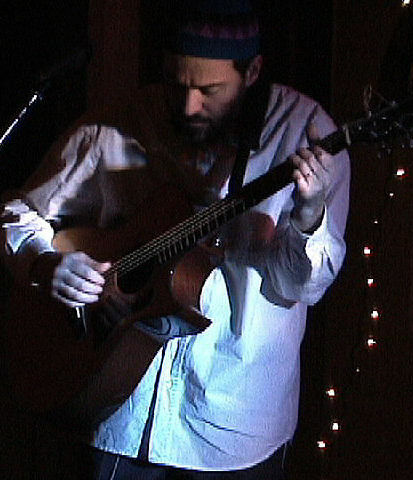 Elie has played on and produced dozens of recordings for a huge array of artists, lending his guitar work and arranging skills to countless projects. He has also collaborated both in the studio and on the stage with many of today’s Jazz greats, including, Brian Blade, Gary Thomas, Larry Goldings, Chris Cheek, Reid Anderson, Jorge Rossy, Joshua Redman, Kurt Rosenwinkel, Matt Garrison and many others. Elie was picked top 10 acts of the U.S. NorthEast by Billboard Magazine at the Independent Music World Series 2007.